Wow! We had a hard time paring down the list of articles to five this week. Here’s what made our reading list for the Friday Five from PreppingToSurvive: the right to bear arms is affirmed in Illinois, genetically modified mosquitos to be released as experiment in Florida, American students fall further behind their global counterparts, over 40% of the states have fiscally unsound pension systems, and how to make homemade deodorant. A recent study by investment firm MorningStar found that 21 states have pension fund systems that fall below the minimum criteria to be considered “fiscally sound.” The worst of the worst were Illinois, Kentucky, and Connecticut, with ratios falling well below the minimally acceptable threshold. From Governing.com. For years, Illinois has had one of the most restrictive handgun laws in the nation. But not anymore. This week, a Federal Appeals Court in Chicago affirmed that the U.S. Constitution provides the right to bear arms for self-defense which is as important outside the home as it is inside. From The Chicago Sun-Times. 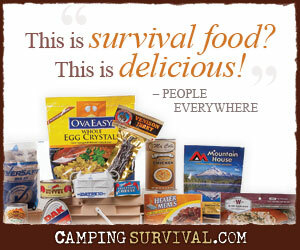 As preppers, we stock up on extra items that may not be readily available in the event of a grid-down situation. But there’s more to life than just beans, bullets, and band-aids. There are the niceties of life as well, such as deodorant. The folks over at Tactical Intelligence show us how to make it from common items on your shelves. From Tactical Intelligence. They say that those that don’t know history are doomed to repeat it. Well, sometimes we repeat it even if we know better. In Florida, genetically modified mosquitos are set to be released as part of an experiment to reduce the spread of dengue fever. Hopefully there won’t be unintended consequences. From Daily Mail. In a recent test, U.S. students lost ground in critical subjects when compared to other developed countries such as Finland, Singapore, Russia, Japan, and Taiwan. “If we as a nation don’t turn that around, those nations will soon be out-competing us in a knowledge-based, global economy,” said Education Secretary Arne Duncan. From Yahoo News.